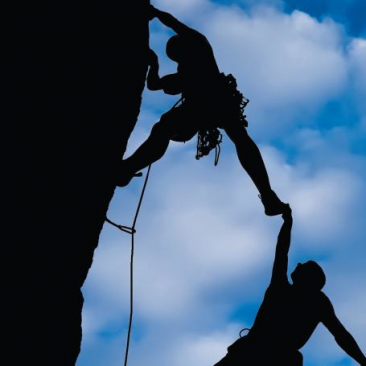 Trust refers to a person’s confident belief that another’s motivations are benevolent toward him or her and that the other person will therefore be responsive to his or her needs. Trust is typically viewed as a belief about a specific person, though it has also been viewed as a personality trait characterizing people’s tendency to trust or distrust others in general. Evolutionary thinkers have argued that issues of trust were critical to the survival of early humans. Because one’s welfare depended on cooperation and exchange with others, for instance in trading berries or other fruit for meat, people needed to anticipate who they could count on to engage in fair exchanges and who, instead, deserved their suspicions as possible cheaters. They also needed to understand who among their significant others could be truly relied on to take care of them in times of serious need and who, instead, were fair-weather friends. Given that issues of trust were so important for early humans’ welfare, evolutionary theorists contend that specific mechanisms likely exist in the modern brain that allow people to monitor behaviors relevant to others’ motivations and calibrate the level of trust that a person warrants—a suspicion meter, if you will. Trust, of course, remains very critical in modern life, especially in one’s significant relationships with family, friends, and romantic partners. Close attachments such as these oblige people to depend and rely on others’ good intentions, that is, to become more heavily interdependent with others to satisfy their own central needs. As the extent of risk and possible costs of rejection and betrayal increase in such relationships, the stakes become much higher and trust becomes all the more critical. It is therefore unsurprising that research on trust has been most prevalent within the contexts of these close relationships. The development of trust in a relationship is usually a gradual process that requires social interactions and experiences with a person that suggest he or she is predictable and dependable, especially in situations in which costly sacrifices by another may be necessary to be responsive to one’s own needs. Such situations are seen as diagnostic because clearer conclusions about others’ motives can be drawn when helping is costly to another and not in their short-term interests. However, to achieve a true sense of confidence in another person, one must eventually go beyond the available evidence and make a leap of faith. Past evidence can never fully predict future behavior, so to genuinely trust and achieve some peace of mind about a significant other, people must set aside their uncertainties and simply act in a trusting way. The amount of trust that develops in a relationship is crucial because it regulates the extent to which people allow themselves to be committed to and invested in that relationship. That is, people will only take the risk of caring and becoming attached to someone they believe reciprocates their affections. Uncertainty or insecurity about whether a partner has a strong positive regard for them can result in people pulling back or increasing their psychological distance from the partner, a self-protective behavior that reduces the risk of being hurt and let down. Researchers who study romantic relationships from the perspective of attachment theory, a theory of personality based on early experiences with caregivers, have demonstrated that trust has two components. People who are most able to trust a close partner have a secure personality style. They view themselves as worthy of love (they have a positive model of self or low anxiety about being loved), and view their attachment figures as generally capable of being loving and responsive (they possess a positive model of others or low avoidance of closeness). Insecurity about either belief or about whether a partner is both willing and able to be available and responsive to one’s self diminishes trust in another and results in a less satisfying relationship. Trust in another person is determined by one’s personality and the qualities of one’s relationship and greatly affects how secure one feels in a relationship. However, pressures from social networks, such as social norms within extended families and communities, may also influence feelings of security. This type of assurance is most typical in more traditional societies and also in Asian societies. Asian people who believe that their parents like and accept their partner feel more secure about their relationship, which in turn allows them to risk depending more on their partner even though their trust in that partner may not have increased. Finally, some scientists have studied people’s general beliefs about the motivations of strangers. Interestingly, trusting individuals do not naively believe that everyone is good but instead are selective about whom they trust and cooperate only when they believe that another has positive motivations. In contrast, competitive people tend to distrust the motives of others, believing that it is a dog-eat-dog world and that they must consider their own interests first. Holmes, J. G., & Rempel, J. K. (1989). Trust in close relationships. In C. Hendrick (Ed. ), Review of personality and social psychology: Close relationships (Vol. 10, pp. 187-219). Newbury Park, CA: Sage. Murray, S. L., Holmes, J. G., & Griffin, D. (2000). Self-esteem and the quest for felt security: How perceived regard regulates attachment processes. Journal of Personality and Social Psychology, 78, 478-198. Shaver, P. R., & Hazan, C. (1993). Adult romantic attachment: Theory and evidence. In W. H. Jones & D. Perlman (Eds. ), Advances in personal relationships (Vol. 4, pp. 29-70). London: Jessica Kingsley. Simpson, J. A. (2007). Foundations of interpersonal trust. In A. W. Kruglanski & E. T. Higgins (Eds. ), Social psychology: A handbook of basic principles (2nd ed., pp. 597-621). New York: Guilford Press. Tooby, J., & Cosmides, L. (1996). Friendship and the banker’s paradox: Other pathways to the evolution of adaptations for altruism. Proceedings of the British Academy, 88, 119-143.